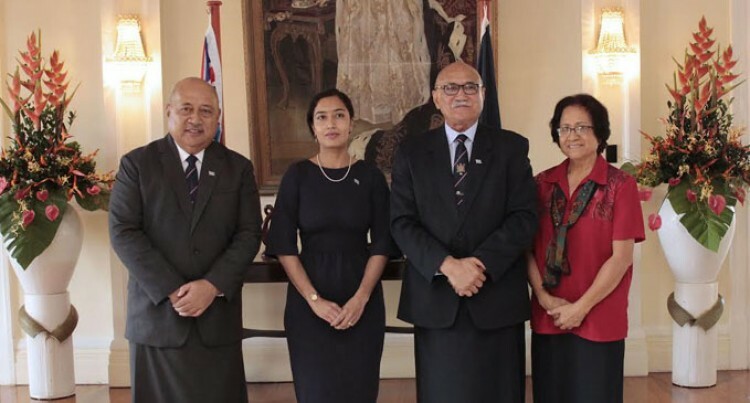 Fiji’s High Commissioner designate to India, Namita Khatri was yesterday commissioned by the President Major-General (Ret’d) Jioji Konousi Konrote at the State house. She began her diplomatic career as second secretary to Fiji’s Mission to the European Communities and permanent representative to the World Trade Organisation (WTO) in Belgium in 2006. There, she was responsible for providing advice on trade matters in line with Fiji’s development interests. Ms Khatri was then seconded to serve as the deputy head of the African Caribbean and Pacific (ACP) Group in Geneva in 2010. She has also served as First Secretary in Fiji’s Permanent Mission to the United Nations in New York in 2012 before being appointed as Deputy Permanent Representative in 2014. Prior to her appointment as High Commissioner Ms Khatri served as deputy permanent representative in Fiji’s permanent mission to the United Nations in Geneva in September 2014. Ms Khatri completed her Bachelor of Social Sciences from the University of Waikato, Hamilton, New Zealand in 2000 and then did her Postgraduate Diploma (History/Politics) from the University of the South Pacific. She has also completed her Masters of Arts in International Relations from the Australian National University and post graduate qualification in WTO Trade Law from the TMC Asser Institute, Amsterdam, Netherlands.